Autism Western Cape presents the “Artists on a spectrum” Exhibition in partnership with the Department of Social Development and the City of Cape Town through its Emerging Artists Programme. This Exhibition aims to bring awareness to Autism in the Month of April, which is also Autism Awareness Month. The exhibition opened on Cape Town’s First Thursdays events ( the 4th of April). In attendance were Mayor Dan Plato and MEC for Social Development Albert Fritz, who both echoed the importance of neurodiversity and an inclusive society. The second week of April sees the first ever “Art Autism Week” – An Autism Western Cape Initiative. 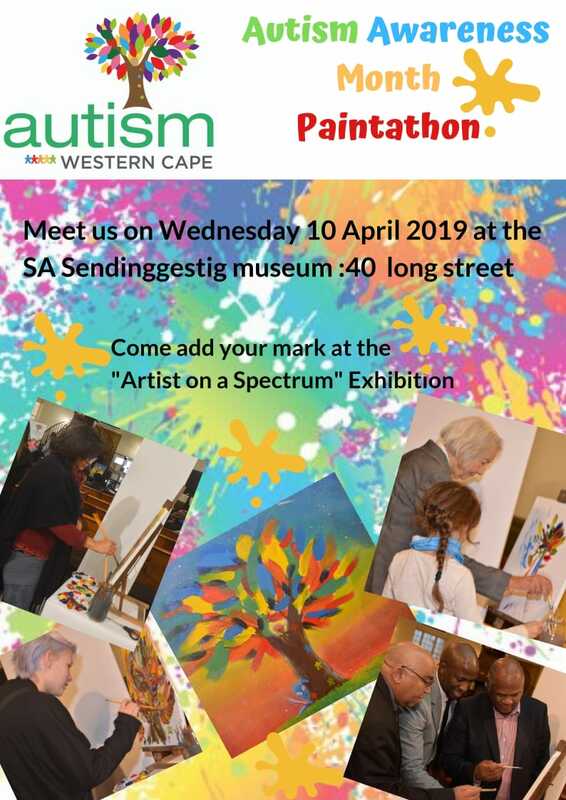 Various discussions will be hosted throughout the week at the SA Sendinggestig Museum and aimed to raise awareness about autism and provide real insights into the experiences of artists and the means by which they use their creative voice to express themselves. The Art Week will also boast a “Paintathon” which is a speed painting challenge aimed at raising funds for Autism Western Cape Initiatives such as building an Early Childhood Centre as well as an adult training facility. If you wish to contribute to this Initiative, we ask that you DONATE. We hope to raise R5 Million Rands through this Initiative.